Request FREE Mini Property Report HERE! If you’ve checked your mailbox over the last couple of weeks and found a letter from KARL KEITH (Montgomery County Auditor) then you’re in good company. Residents all over the county have been receiving their new Tentative 2017 Value and they aren’t happy with the increases. 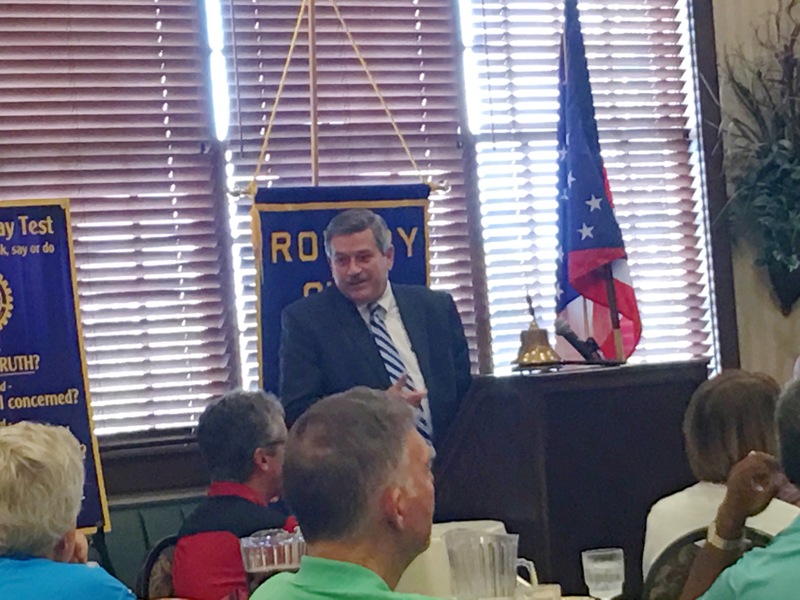 Mr. Keith stopped by the Centerville Rotary Club last Thursday as part of an effort to meet with the community, explain how the numbers may impact local tax bases and answer questions and concerns. According to Mr. Keith, the county’s assessed value should be 92-94% of the current market value. If your letter indicates that they’ve over-valued your home you can request a review. Mr. Karl Keith spoke to the Centerville Rotary Club on Thursday, August 10th. The Centerville Rotary Club meets every Thursday at the Yankee Trace Golf Club from 12-1. Residents interested in disputing their Tentative Value can call the Montgomery County Property Owners Hotline at 937-225-5096 to schedule an appointment during Informal Reviews scheduled at one of 15 locations around the county. Please be prepared to defend your property valuation with a recent appraisal, recents sales in your subdivision or you can request a FREE Mini Property Report HERE.